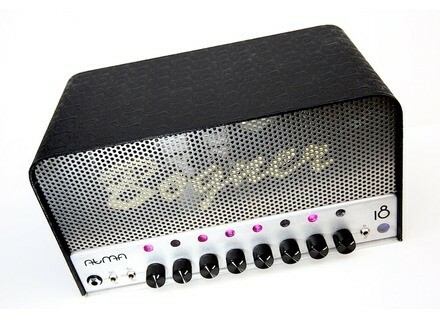 Atma, Tube Guitar Amp Head from Bogner. The Audiofanzine team went to the Bogner booth at NAMM to listen to the new Atma amp and discover its telescope mounting system. [NAMM] Marshall Slash's SL-5 combo unveiled We were expecting a new Marshall Slash guitar amp at NAMM 2013, and indeed we discovered the 5W SL-5 combo. [NAMM]Orange Launches the DIVO VT1000 Valve Tester Orange has just unveiled at NAMM 2013 their portable valve tester VT1000 equipped with DIVO technology. [NAMM] MXR launches the M222 Talk Box pedal MXR introduces a new version of the classic Talk Box effect pedal, fine tuned for modern players.